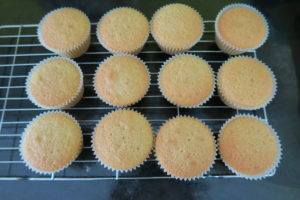 These Victoria Sponge Cupcakes are a daintier version of the classic and well loved Victoria Sponge Cake. As much as I love a big slice of Victoria Sponge Cake, sometimes it’s hard to make it look pretty. 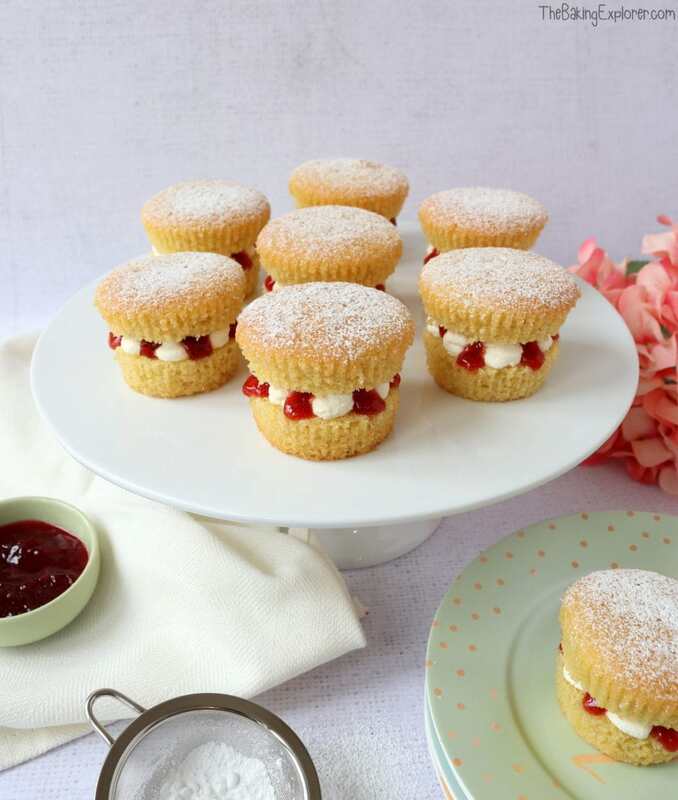 If you are hosting an afternoon tea party, mini Victoria Sponge Cupcakes are a delightful way to serve this traditional treat. 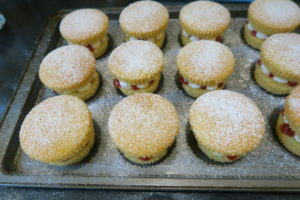 Victoria Sponge is usually made with a jam filling, and sometimes jam and buttercream. My favourite filling is jam and whipped double cream – I just adore that combination! 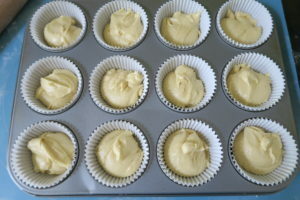 I made the sponge batter then divided the mixture into 12 cupcake cases in a tray. It doesn’t matter which colour paper cases you use as you’re going to peel them off anyway. Or you could even use silicone cases. They baked on 160C Fan/180C/350F/Gas 4 for 20 minutes until they were golden brown. 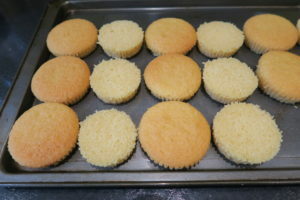 When the cupcakes were fully cooled I cut them in half. Onto the bottom layer I piped blobs of whipped cream, then drizzled jam over and between the blobs. 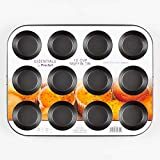 I pressed the top back on and dusted them all with icing sugar. 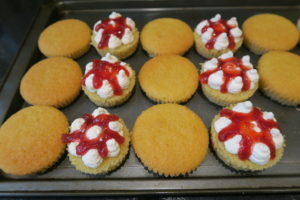 The Victoria Sponge Cupcakes looked absolutely adorable! Almost too pretty too eat (but not quite!) They are such a simple thing to make, but absolutely scrumptious. They’re the kind of thing where you just want to go back for more! 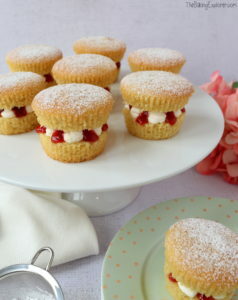 I think these Victoria Sponge Cupcakes would be so lovely for Mother’s Day, or perhaps a baby shower. Very nice twist on a traditional treat! Looking delicious. 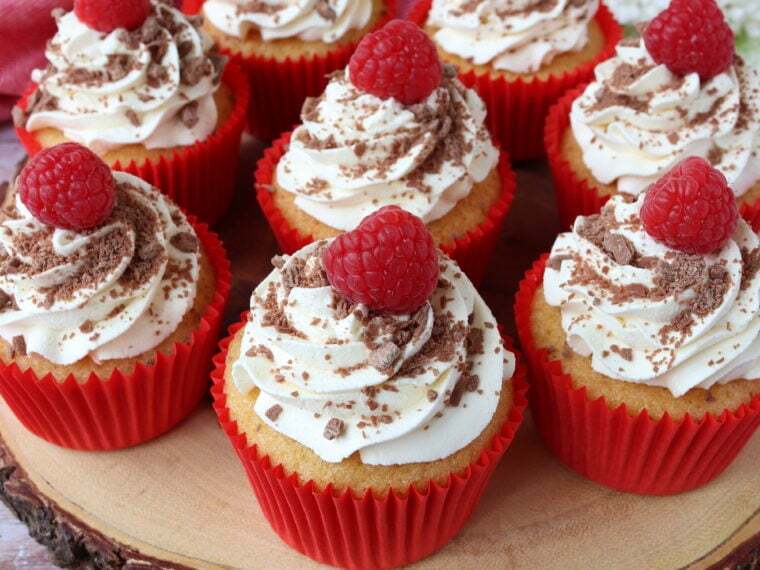 Agree with Cakeboi, These sponge cupcakes are special addition on treat.